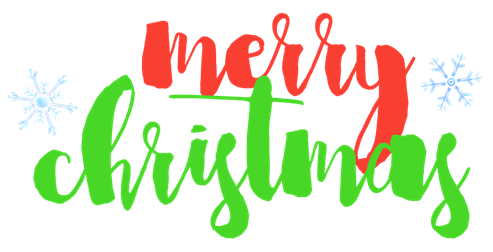 Merry Christmas to those who celebrate!! One of my favorite days is finally here. It actually shouldn’t say “finally” because I feel like this month FLEW BY. Seriously, each month has this year but December… damn. Busy and quick. I wanted to post a little something on the blog for Christmas today so I thought The Christmas Tag would be a perfect fit to finish off the season. I hope you enjoyed all of the holiday reviews and features on the blog! Here’s a little recap of them, if you’d like to catch up and get in the spirit today. No-brainer. I love The Santa Clause way too much. I used to watch each year with my parents and will ALWAYS put it on at least once or twice in December. I even watch the sequels, even though they’re garbage. From the second this movie starts until the second it ends, I’m so happy and Christmassy. Yes absolutely! I live in Connecticut so we usually have a white Christmas. I don’t think we’ve had one in the past two years or so though? I’m not sure what’ll happen this year but I’m hoping for one. It just doesn’t feel like Christmas without snow and I don’t even really like the snow much. I couldn’t imagine living anywhere without snow though! It’s necessary for the season. Ugh, this is a huge answer because divorced parents PLUS a long-term boyfriend does not exactly lend itself to a relaxing Christmas. We usually travel between 3-4 different houses for Christmas Eve and Day. Usually my dad’s side of the family gets together on Christmas Eve, then Chris’s parents’ family gets together that same night. We see my immediate family at my dad’s house (him, stepmom, half-sister) first thing in the morning to do gifts. We then go over to my nana’s house to see her, my uncle, my mom, and my stepdad. We do Christmas “dinner” (early at like 1:00) and open gifts. Then, we go over to Chris’s parents’ house to do gifts with them. I’m hoping this year (of course by the time this posts, all of this will already be happening) that we can consolidate some stuff so we don’t have three houses to see on Christmas day. Here, let me direct you to the best Christmas song ever… (Listen immediately)… waiting… Okay. Yep, NSYNC’s Home for the Holidays CD is my favorite. I also love Hanson’s Snowed In and BB King’s A Christmas Celebration of Hope. I usually do a quickmix on Pandora with Jazz Holiday, Christmas Old and New, and Merry Christmas, Happy Holidays radio stations. It gives me the right mix of Christmas songs, especially as we use the Bluetooth speaker in our office throughout the whole month. When my dad’s family would get together and we all were young enough, yes. Those were the days… getting all hopped up on sherbet punch and running around my grandparents’ house. Nowadays, we do a Secret Santa with Chris’s family on Christmas Eve. That’s about it for presents. I’m hoooooping that this year we can also do gifts with my dad’s family on Christmas Eve so we don’t have to go back first thing in the morning, but we’ll see. You know Dasher and Dancer and Prancer and Vixen. Comet and Cupid and Donner and Blitzen. But do you recall? The most famous reindeer of allllll… (Rudolph) You’re lying to yourself if you don’t have to sing those lyrics to answer this question! I don’t have a lot of traditions except for the different places we go, the movies we watch, and the music we listen to. I like to try to visit the Yankee Candle flagship store in MA because it’s always SO Christmassy but that won’t happen this year. Same with Bright Nights, which is a big light display through a park in MA. Sooo basically looking forward to some new traditions! We went to my mom’s house on Christmas Eve Eve to watch a movie and have snacks. We spent a lot of this past week catching on movies too. Always real!! See the photo on the side. My mom’s house always has a real tree and my dad’s house has a fake one (because of pets). I grew up with the real trees so I have to keep that alive. I love smelling it during the first few days. I hope when I’m older and have a house that I’ll have a second tree. That will be a fake tree with only Panthers ornaments on it, somewhere in a bonus room where we watch football. But there will always be one real tree! What is your all time favorite holiday food/sweet treat? Hmmm. My family doesn’t do a lot of sweets compared to most! We don’t get together for baking and stuff. My mom’s Christmas involves chocolate cream pie. My aunt at my dad’s house makes a loooot of things usually, but her cheesecake is unbelievable. I think those are my top two. We also used to always have sherbet punch during my childhood Christmas Eve gatherings. FAVORITE. It’s basically a mix of Sprite or Ginger Ale, sherbet, and cranberry juice. Chris and I were just talking about this the other day! It’s a bit of both. I love seeing what people thought to get me. It’s not the fact that I’m GETTING stuff, but it’s thinking “wow, this person knows me so well!” when I open something. I like feeling cared for and that people pay attention. On the flipside, I do loooove giving gifts. I think I’m pretty good with it actually. I’m a huge fan of log cabins but I’ve never really stayed in one before. 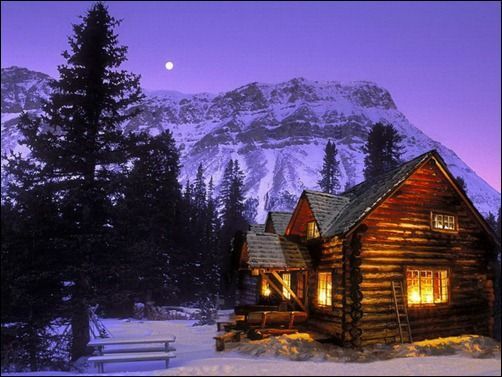 I love the snow, mountains, and actual cabin pictured below. Having all of my loved ones in there would be even better, but I could totally spend the week leading up to the holidays holed up in here. Chris and I could ski/snowboard all week, plus relax by a cozy fire and maybe hang out in a hot tub! I think I’m asking for quite a bit here, but that’s the dream! LOL I am soooo bad. Like terrible bad. I don’t know why. I just can’t get things to line up right and I have a tendency of over or underestimating how much paper I need to use. I can never get it right. For most things, bags are my best friends (especially for clothing). Boxes aren’t too bad to wrap hehe. I honestly don’t remember at all. All I do remember is that one year in middle school, I was suddenly helping my parents put gifts under the tree while my little sister was asleep. I didn’t believe for a couple years at that point but it was like, my world was rocked that I was actually helping them put out gifts. No and no. I like to make blog-related resolutions but I think they’re more like goals. I don’t care about New Years because time is irrelevant and we only use calendars to signify it. I don’t think of each year as a clean slate because it’s so arbitrary. Lol, clearly I don’t like it. I do like kissing my cute boyfriend at midnight and spending time with friends though! Seeing friends and family, feeling like I can eat whatever I want without caring, sweet treats, holiday lunch with my office, playing Christmas music in the office all December, watching Christmas movies, hearing Merry Christmas, Happy Holidays for the first time each year, the beginning of The Santa Clause when the music first starts, hearing Linus and Lucy on Jazz Holidays Pandora, hot chocolate and a book, flannel shirts, leggings, decorations in stores, warm blankets, Christmas lights and decorations, having an excuse to stay inside when it snows, skiing… All of it. I love this season so much.